It is with a heavy heart that I must advise the demise of little Squeaky the mouse. He was a great friend to me, always willing to listen, never running away, never getting into trouble (we will forget the smoking incident). Never a more loyal mouse did ever exist. I will always remember you Squeaky. May the cheese in mouse heaven be specialty Gruyere. I am just so happy that my last memory of Squeaky will be the car ride we took together. 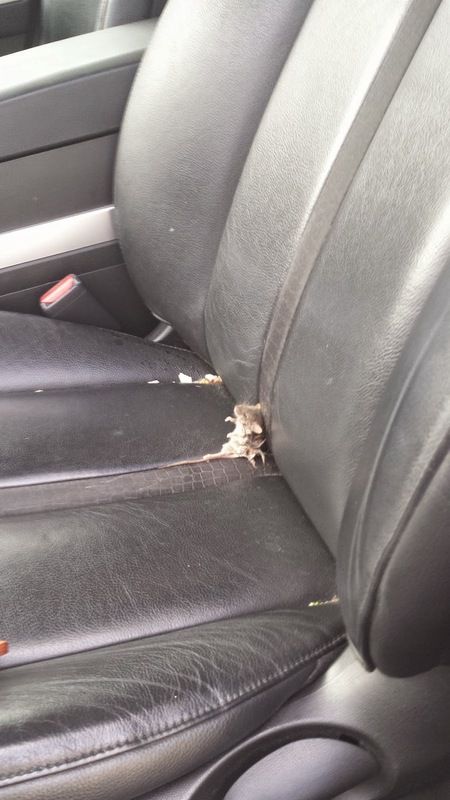 I do not want the haters to hate just because squeaky wasn't wearing a seat belt. He was just way too small. I am wondering how well a mouse can see. I heard the TV in the lounge go on early this morning. I went to investigate thinking that someone was in the house. Imagine my surprise when I found this. 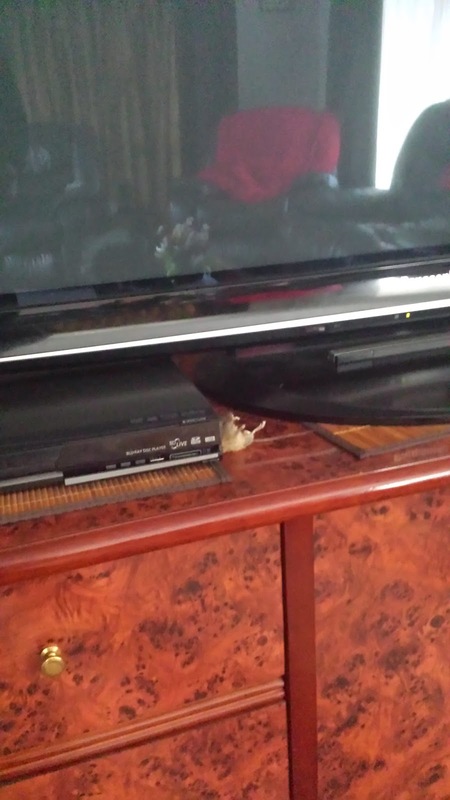 You can imagine my surprise when I saw Squeaky chillaxing out watching TV. I told him off though for sitting too close. The fact that he had to sit so close makes me wonder how good his eyesight is. I think I might take him to spec savers and get his eyes checked.I think little Squeaky will look cool with glasses. I had started to notice that my pet mouse Squeaky has bad breath. I know with dogs and cats, the you can have their teeth brushed and also get them special"cleaning" biscuits. 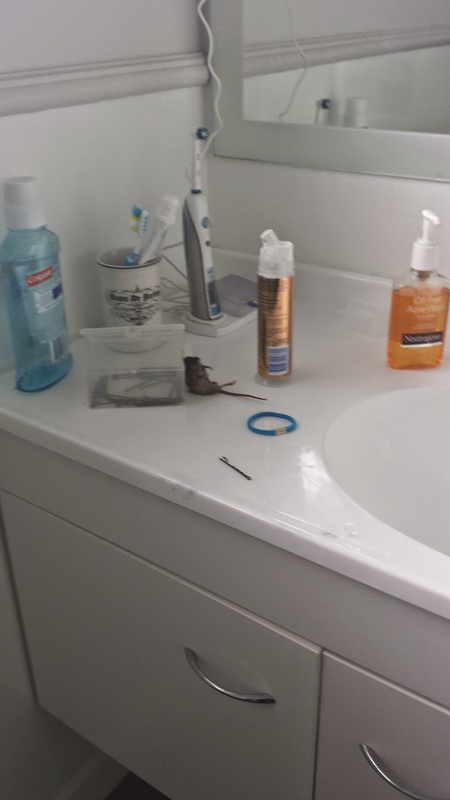 I had asked my daughter to go and clean her teeth and when she got in to the bathroom this is what she found. Who knew that a mouse could teach itself to brush its teeth by watching humans. 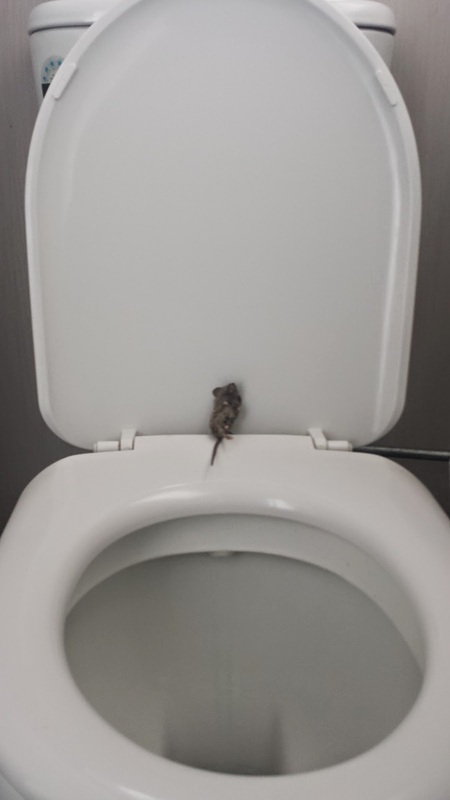 I think I will have to set up a live stream and watch what this mouse gets up to when I am not around. I have purchased a black magic recorder which will enable me to livestream from my GoPro. My project for tomorrow. All of these products can be purchased from my Amazon Store. I have been told that it is impossible to toilet train pets. You can get them to go outside, but it is not possible to actually get them to go to the toilet. You can imagine my surprise when I went to the bathroom today and saw this. My widdle mouse, Squeaky, is a very smart widdle mouse. He toilet trained himself! I have noticed that he has bad breath. I must see if I can get him to brush his teeth. My daughter has always been a cat person. She has two cats, identical twins. I was rapt when she took a liking to my new pet mouse, Squeaky. Here is a picture of her bonding with Squeaky. I just hope she isn't conning me and planning to feed Squeaky to her cats. 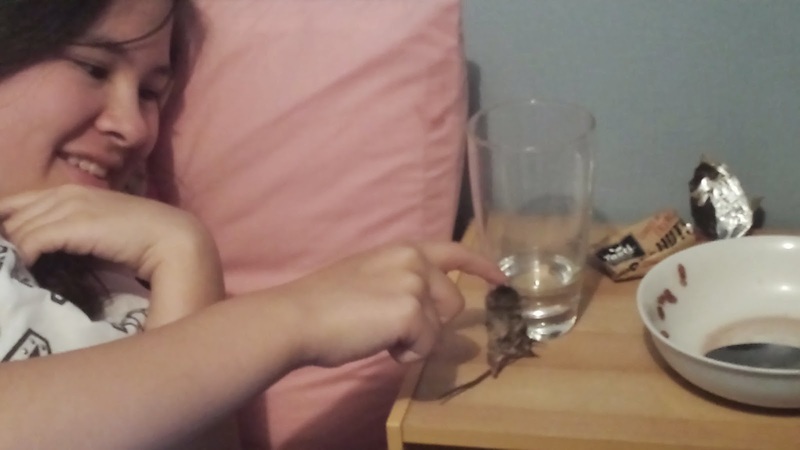 I am so disappointed with my new pet mouse. He went missing and when I found him he was .... well I think the picture says it all. 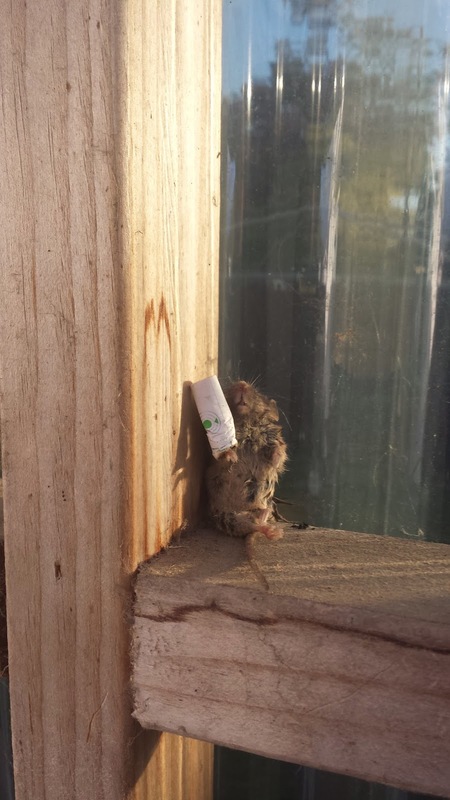 Does anyone know if you can get stop smoking patches in mouse size? 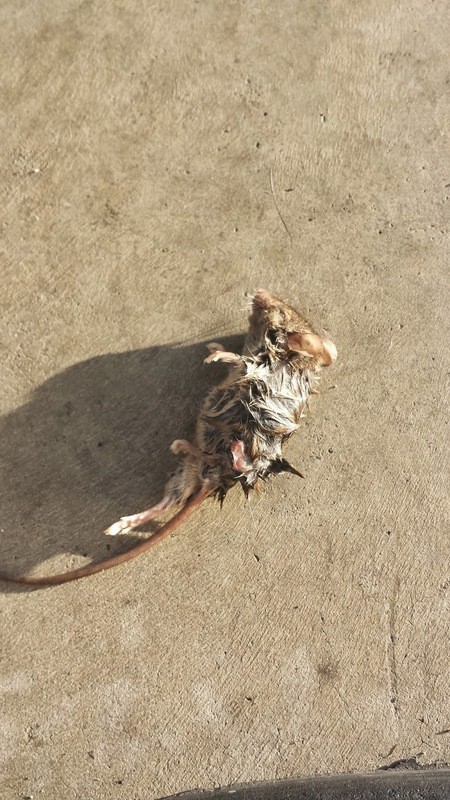 I went outside this morning and found a little mouse sunbathing on the back porch. I am going to keep him and call him squeaky. He doesn't move around much, but thats good, as I don't have a cage for him yet. I wuv my new widdle mouse friend. After not posting anything for four months, I think it is time to start posting again. I have set myself a goal of posting something everyday, so be ready for an eclectic series of posts. I have a few things I am planning so I will use this forum as somewhat of a diary with an update on progress. The first thing is a big ride I am planning. I am going to ride around New Zealand, sticking as close to the coast as I can, bearing in mind I will be riding a sport tourer motorbike. When that ride is complete, I am going to ship the bike to Australia and then do a clockwise ride around Australia. Once again, I will be sticking as close to the coast as a road bike will allow. Due to health issues, I have had to stop working. This has lead me to look at Kickstarter as a means to fund this ride. Details of the Kickstarter campaign are as follows: http://kck.st/1rMzCXv. I appreciate any donations towards assisting me to undertake my project.